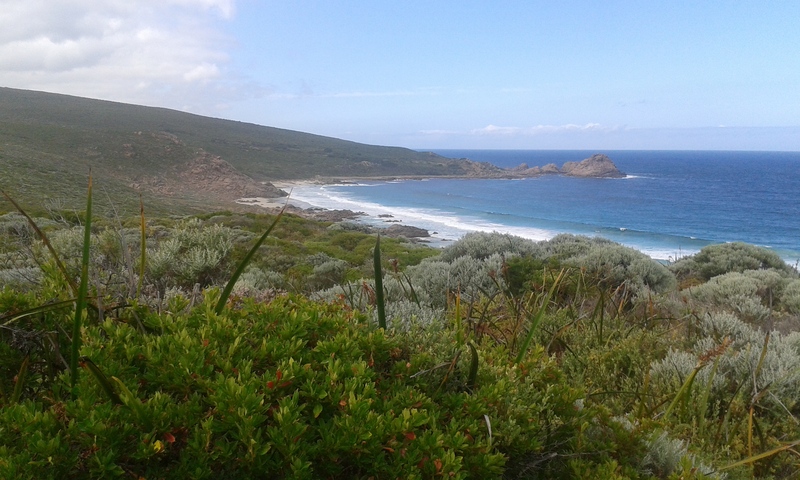 It's not hard to see why the Cape to Cape Track in WA's Margaret River Region has been ranked as one of the top ten multi day walks by Australian Geographic. The scenery is always breathtaking and the vegetation becomes more pristine the further you get along the track. As a taster, the walk from Sugarloaf Rock (near Dunsborough) to Cape Naturaliste lighthouse is a mix of sealed pathway and boardwalk, meaning it is fully accessible and also suitable for prams. This stretch takes in magnificent coastline, rock formations and vegetation and is just 3km long. On this occasion I was dropped at Sugarloaf by car and made my way to the lighthouse, which took just over an hour walking with a seven year-old. If you don't have a second person to drive you, you could also stop for a look around the lighthouse and a break before venturing back the same way. To get to Sugarloaf Rock drive along Cape Naturaliste Road from Dunsborough for approximately 10kms, then turn left onto Sugarloaf Road. Follow this road until you reach the carpark at the rock. From the lighthouse there are also a range of walking tracks, one takes you to the whale lookout (September-December) and one to 'The Other Side of the Moon', a sandy but rewarding trek. Another spot to try if you finish up at Cape Naturaliste is Bunker Bay Beach, with a café right on the beach that serves good coffee. As with any nature walk always pack your own water. Why? Rated one of the best walks.